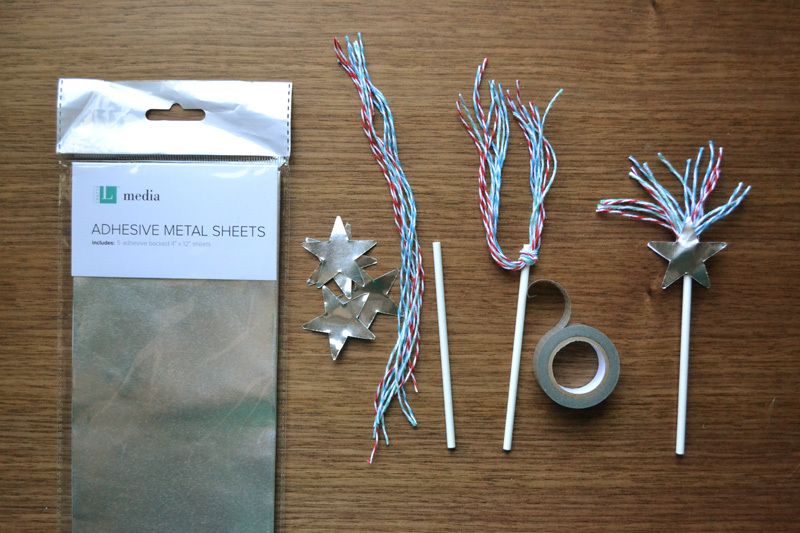 To celebrate Independence Day here in the good ol' USA here are some fun and easy project ideas. Let's start with a safe and kid-friendly alternative to fireworks and sparklers. I love confetti. It’s is all the rage right now and is so fun and festive. With the July 4th holiday coming up in the U.S. confetti is the perfect way for kids to celebrate without the risk of getting burned. 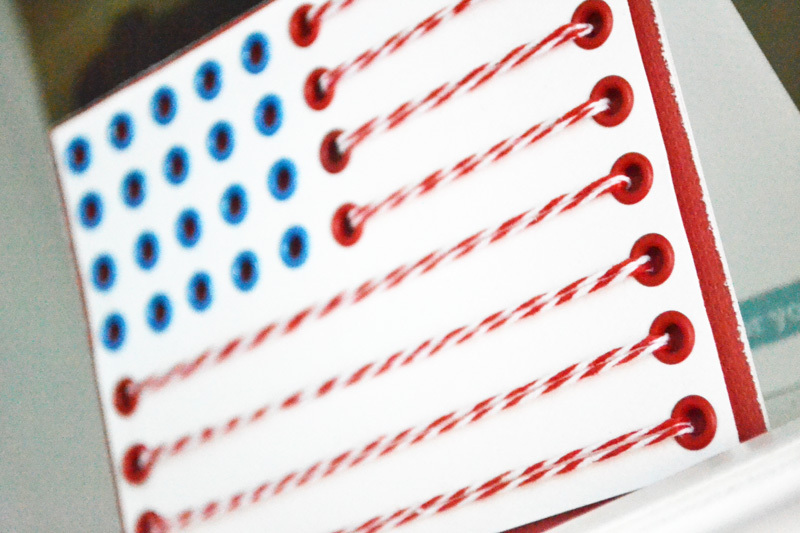 You can use the Candy Box Punch Board to make confetti poppers for any occasion or holiday. 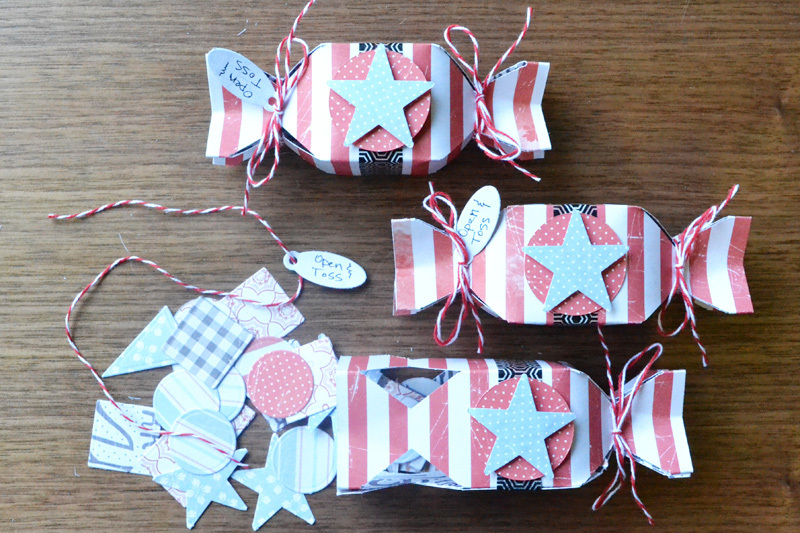 I made these red, white, and blue poppers and embellished them with dies, washi tape, and baker’s twine. 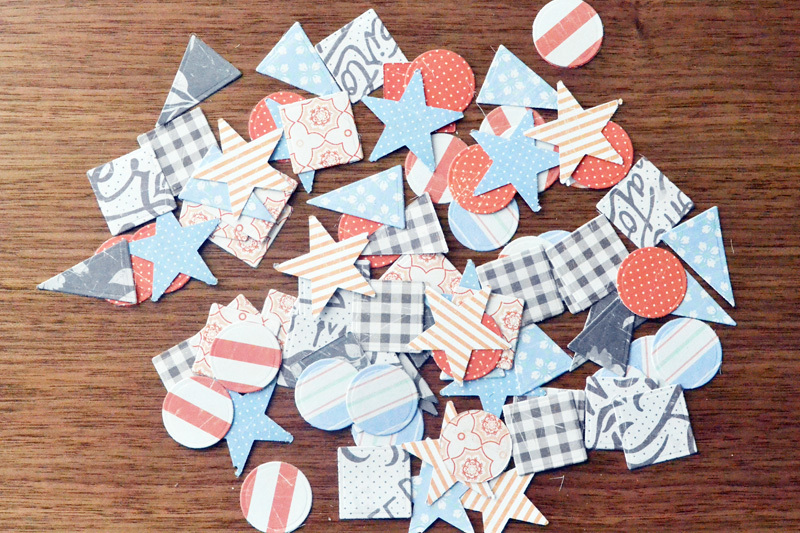 I created jumbo confetti ( about 1”) easily using several small Punch Dies (Circle, Square, Star, Pennant) and some red, white, blue, and black papers from the Farmers Market collection. 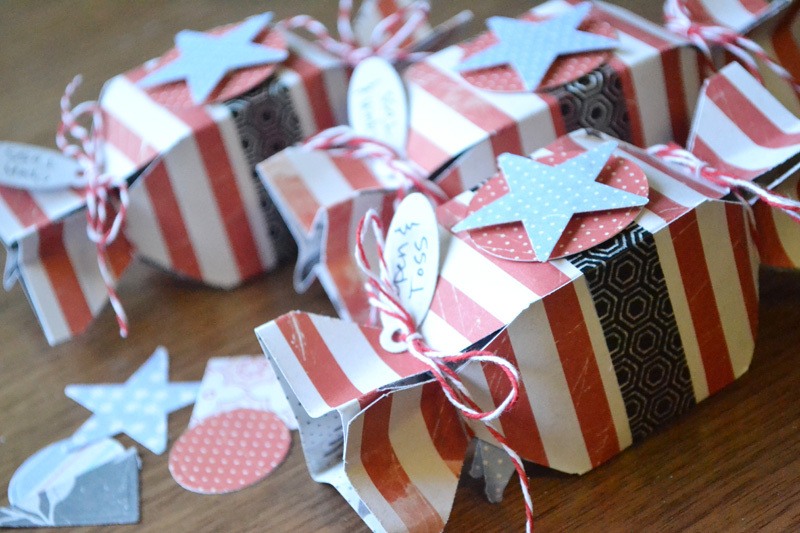 I added a small tag with basic instructions to open the popper and toss the confetti. Jumbo confetti is not only fun and different, but it’s easier to work with and clean up after the celebration. You could also die cut shapes from colorful crepe paper for lighter weight confetti. 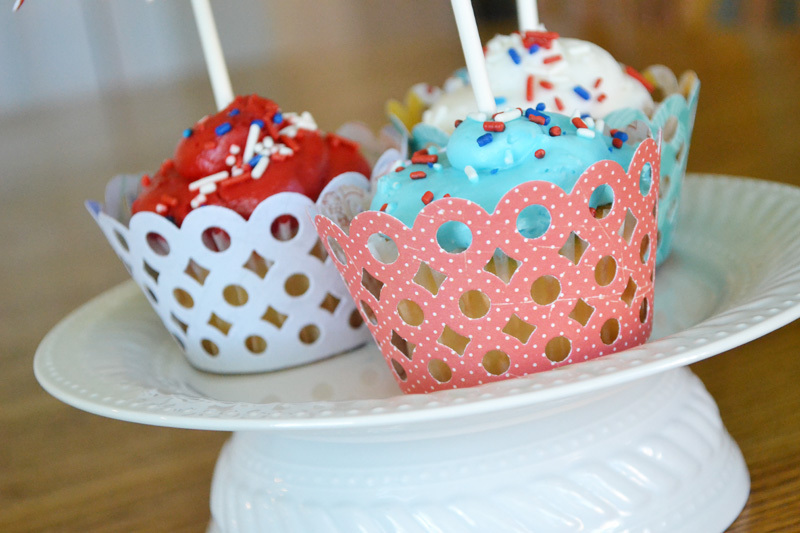 If you're hosting a party for the 4th of July, here's an idea for fun and festive cupcake toppers. 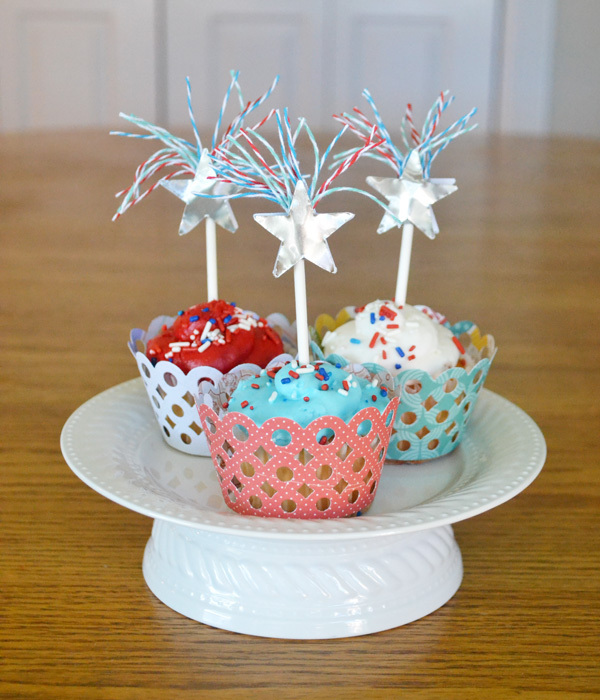 You can make fireworks toppers with Sew Easy Baker's Twine, Washi Tape, and Star Punch Dies. These unique toppers are sure to bring smiles from your barbecue or party guests. 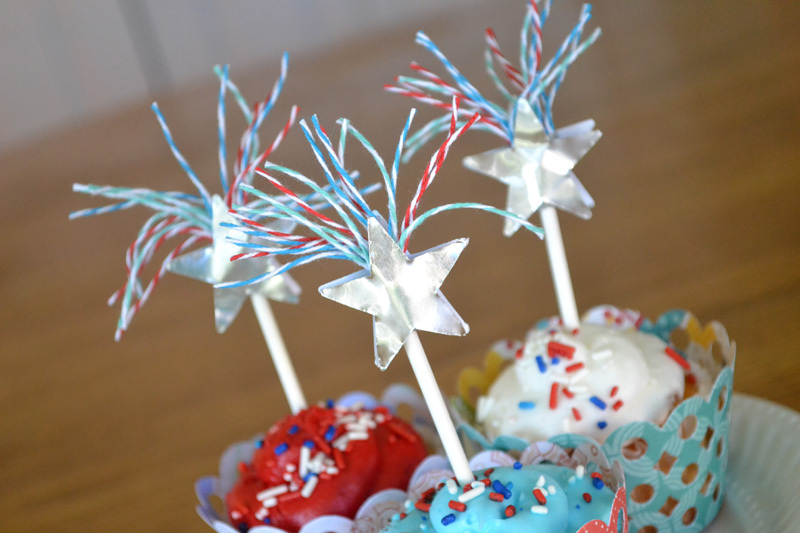 And since they look just like fireworks, they're perfect for the holiday! Start by trimming about ten 6" lengths of twine. Tie them together at the end of a lollipop stick and wrap some washi tape around the knot so that the ends of the twine point upward. Trim the ends of the twine so that they're all even and about 1-1 1/2" long. Die cut star shapes using the Star Punch Die from Adhesive Metal Sheets and attach one to each side of the topper to cover the knot. Add them to your cupcakes and finish off the project with a cupcake wrapper make using the Ring Cupcake Liner Template Die. I’ve got one final project to share with you before Independence Day tomorrow. 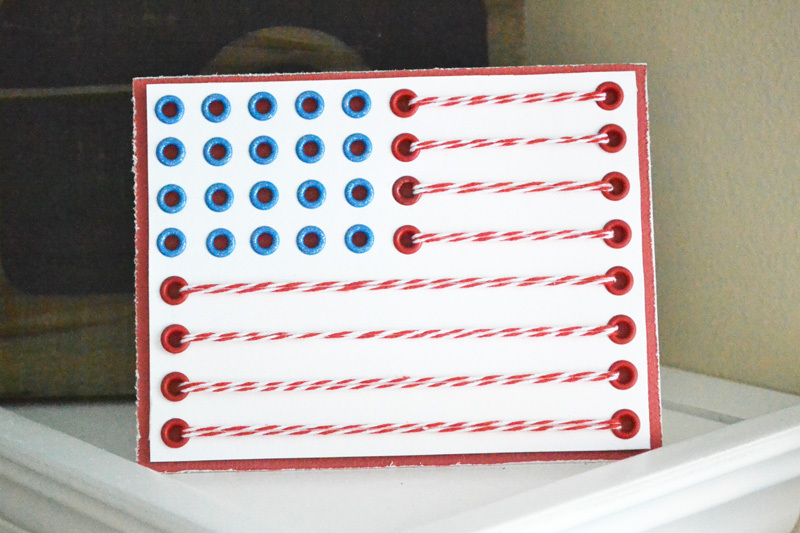 In honor of Throwback Thursday I dug deep into my craft stash to create this patriotic card. I made a flag design from old Eyelets and Sew Easy Baker’s Twine using my Crop-A-Dile Big Bite. To set the eyelets I drew grid light lines using my pencil and ruler, and then punched holes where I marked. After I punched the holes I erased the pencil lines. It was much easier to erase the lines before I set the eyelets in the holes. I mounted the finished flag on red textured cardstock using foam squares for added dimension. 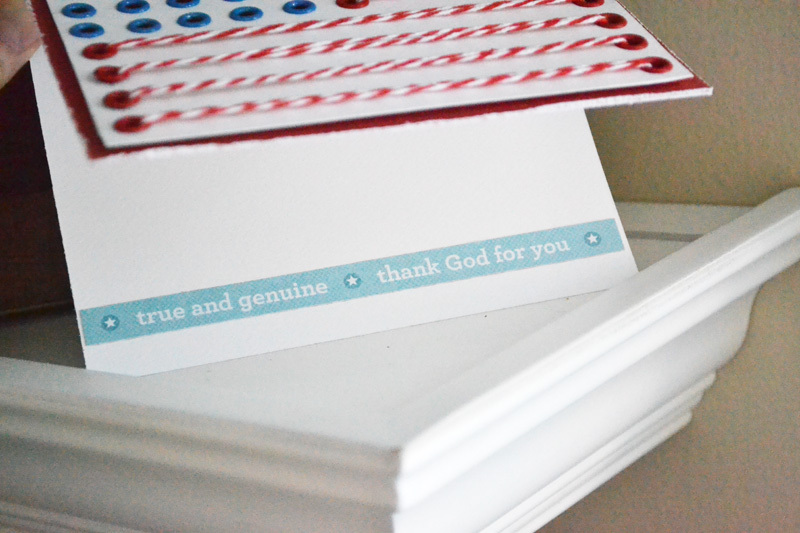 On the inside of the card I added a sentiment strip that I cut from Red, White, and Blue Parade patterned paper. I hope these ideas have inspired your patriotic crafting. Enjoy your weekend! It may be an older project, but I love that card! So original!